Drop into our red support zone then an explosion into our green resistance zone. Simple setup that is coming into play with a lovely clean chart... this is all you need, no need to over complicate things at all. Do you think crypto will replace physical money in the future? And what is your chosen Crypto? Are you really that BRAINDEAD? Have you got a spare pair of PANTS? 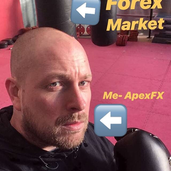 I'm new in the crypto world after spending many years in the forex markets I am dipping my feet in this new CRYPTO world... So just looking for a bit of advise. Lets hold a debate... what coins do you hold? and which coins do you think will be most successful and why? Also I'm thinking long on BTC as the 1 hour price is following a lovely TL... anyone agree? will the RECESSION cause CRYPTO strength? Whos your favorite CRYPTO TRADER? TORAY?